The Mystic River is located off Mystic Harbor and is one of the most popular boating centers in Connecticut. 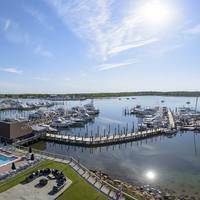 With a wide array of marine services, thousands of moorings and a setting that is relatively well-protected, the town of Mystic and the Mystic River fill up quickly in season. This is the home of the Mystic Seaport museum, a popular local attraction. 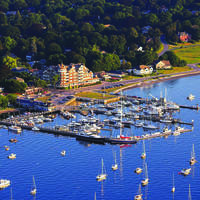 Inside the Mystic River are no less than seven marinas, and many of them have facilities available for transient guests. Like any popular boating center, you will be well served to call ahead and arrange your spot for the evening in advance, or arrive early to the first-come first served moorings outside the rivers entrance. There are spots for anchoring about, but most of them are not conveniently located close to town. To reach Mystic River, you will have to work your way up Mystic Harbor from Fishers Island Sound. 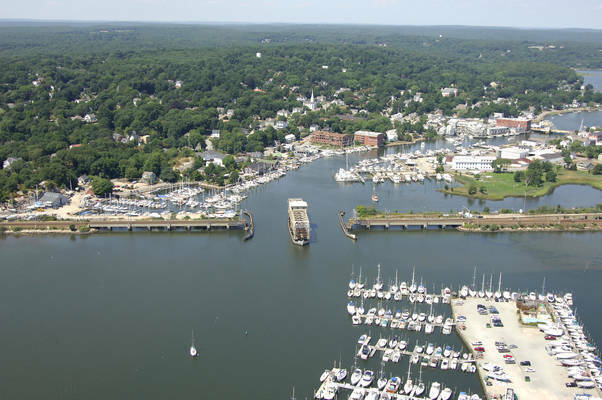 Mystic Harbor is approached form the south between Ram Island Shoal and Morgan Point in the town of Noank. The start of the approach into Mystic Harbor from Fishers Island Sound is marked by green can 1 about a mile southwest of Swimming Rock. From here, head north toward red nun 2 and green can 3 marking Planet and Swimming rocks, respectively. 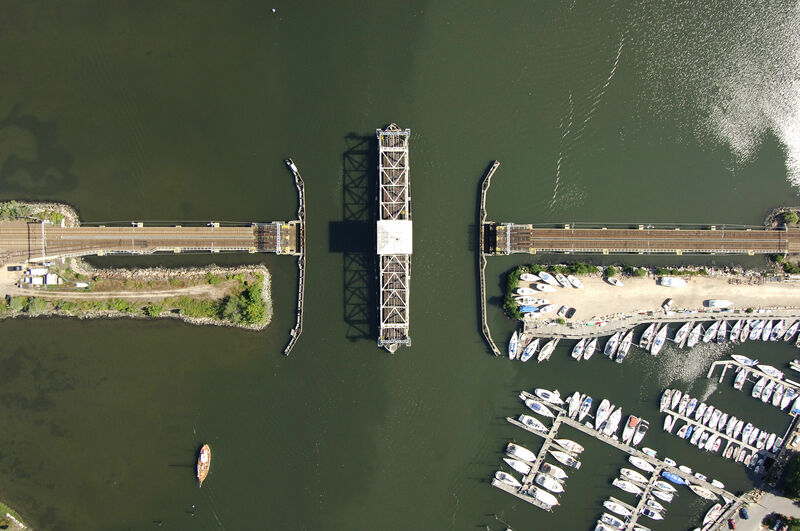 Once you have cleared the swing bridge, you will find marinas lining both sides of the channel up to the next opening bridge (bascule, four-foot closed vertical clearance), which opens on signal. 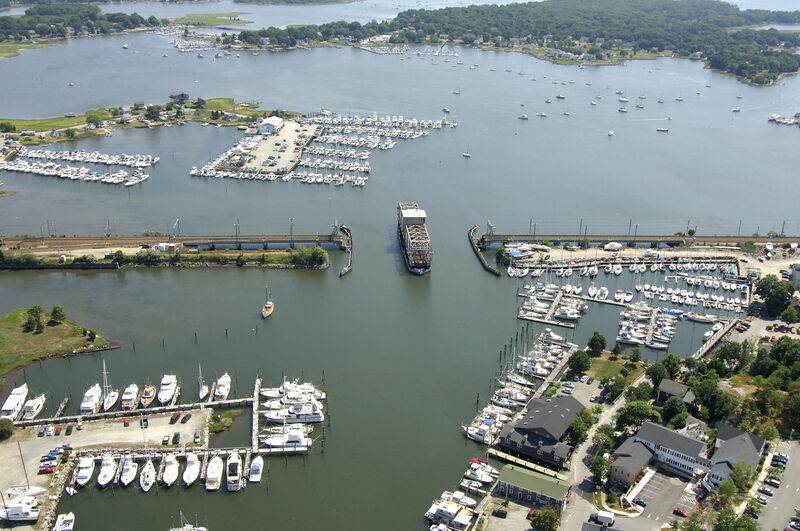 The Mystic Seaport is located near the head of the river past the second opening bridge, and there are more than 50 transient slips available here (call ahead for reservations). In town provisioning is easy, with a grocery store, pharmacy and liquor store all close by. No reviews yet! Be the first to write a review of Mystic River Inlet.